Malaysia is one of the most beautiful countries in the world. In year 2013, total of 25.7 million International Tourists arrived and enjoyed the beauty of this country. Discover 10 top tourists attractions in Malaysia. Find the best destinations that you should not miss when visiting here. To make your vacation enjoyable and fun, plan your trip earlier. Decide where you want to be, activities you want to do, places you want to stay and how to get there. Kuala Lumpur is the capital city and main gateway to Malaysia. It’s connected to all over the world via its popular Kuala Lumpur International Airport, which is about 40 km from the City Center. Kuala Lumpur is the heart of Malaysian economy and culture. They’re many things you can do in Kuala Lumpur from visiting the famous Petronas Twin Tower to the historical Sultan Abdul Samad Building at Dataran Merdeka. Visit Batu Caves, the largest Hindu Temple in Malaysia and see the Batik printing. You have many choices where to stay in Kuala Lumpur. The rooms are available from basic to luxury with very reasonable price. 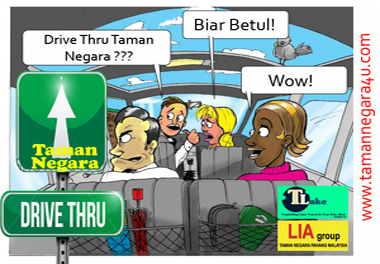 From Kuala Lumpur get to your next destinations either by bus, or train or self drive by car. Putrajaya is the Federal Administrative Center of Malaysia, which was built in 1999. The city houses all the government offices including the Prime Minster’s Office. This is the greenest city in Malaysia, where you can see modern and unique structure and architecture including the 650 hectares man-made lakes. Boat cruise is a must do activity in Putrajaya, where you can see most of the beautiful landscapes across the beautiful water and wetland. Find the tropical plants at Putrajaya Botanical Garden or Agriculture Heritage Park, see traditional Malaysian crops such as rubber, palm oil, fruits trees, cocoa, herbs and species. It’s about 38 km from Kuala Lumpur and you get there by conveniently self drive. Malacca city is a UNESCO World Heritage site. The state of Malacca is one of the smaller states in Malaysia, rich with history and tourist attractions. You can see many historical places such as Christ Church, the Stadthuys, St. Paul’s Hill, Dutch Fort, Portuguese Settlement and many more. Located about 145 km from Kuala Lumpur and 240 km Singapore. It’s easily accessible via PLUS Highway, that makes it very popular destination among Singaporean, international and local tourists. Malacca is peak on holiday season. It’s advisable for your to book your room in advance. Many buses from Kuala Lumpur, Singapore and other cities provide services for you to get there. It’s easy for your to self drive because, it’s connected with very good network road system. George Town is a UNESCO World Heritage city, the place where you can see a unique architectural and cultural. It retains many of colonial-era buildings to this day. There are too many places for you to cover in your short exploring time. Some places are worth for you to include in your itinerary include Penang Hill, Snake Temple, Kek Lok Si Temple, Dhammikarma Burmese Temple, War Chaiyanabgalaram, Batu Feringgi and Gurney Drive. Penang is also well known as foods paradise. Take the opportunity to taste the popular local delicacies such as Penang Rojak, Pasembur, Char Kway Teow, Asam Laksa, Nasi Kandar and many more. Langkawi is an archipelago made up of 99 islands in the Andaman Sea on Malaysia’s west coast. This island is being promoted heavily because of its beautiful nature with white beaches, jungle clad hills, and paddy fields. It is also popular with the lagend of Mahsuri. If you have limited time to stay in Langkawi, choose a few places and things to do from many choices such as Island Hopping at Dayang Bunting, diving at Pulau Payar Marine Park, ride the steepest cable car at Gunung Mat Chingcang, Mangrove River Cruise, Mahsuri Mausoleum, Crocodile Farm, Laman Padi, Handicraft Complex and more. Mount Kinabalu with 4,095m high is the tallest peak in South East Asia and one of the popular climbing destinations in Asia. It is also one of the safest and most conquerable peaks in the world. Located at 85km northeast of Kota Kinabalu and can be seen as far from west coast. This World Heritage Site renowned of its ecology, flora and geology. Mount Kinabalu is one of the main attractions to Sabah beside many other such as orangutans, proboscis monkey and fine scuba diving sites. From your country, fly direct to Kota Kinabalu International Airport. From the airport either go to Kota Kinabalu City Center or straight to Kundasang, Ranau, Sabah. Have a good rest and be prepared for the hiking. Tioman is an island off the east coast of Peninsular Malaysia. Located at 32 nautical miles of Pahang State, the beautiful waters and corals of all shapes and colors surround it. Covered with about 12,000 hectares of tropical jungle with countless mountain streams and waterfalls. Time Magazine selected Tioman as on of the world’s most beautiful islands in 1970s. Tioman is ideal for tourists in many categories such as family with small children, honeymooners, scuba divers, backpackers and adventurers. You get there by air straight from KLIA to the island or via land transport to the jetty either in Mersing or Kuala Rompin the continuing by ferry to the island. Cameron Highlands is a highland region located about 20 km east of Ipoh, 150 km north of Kuala Lumpur and at 5,000 ft. above sea level, that enjoys a cool climate, with temperatures no higher than 25 Celsius and sometime falls below 12 celsius. Cameron Highlands is home to many tea plantations, and known as, the largest tea-producing region. The area is also known as a major supplier of vegetables to both Malaysia and Singapore. Cameron Highlands is popular among tourists as one of the stopping point during their tour to Malaysia that normally includes Taman Negara, Perhentian Island, Penang, Malacca and Langkawi. You can get there either by self-drive or shuttle service or public bus. Perhentian Islands are well known all over the world because of its pristine beaches and crystal clear water. The island and coral are relatively unspoilt and popular stopping off point for tourist exploring Malaysia and this part of Asia. Play and walk on the soft and white sand with many broken coral in places. The sea is turquoise, and crystal clear make Perhentian Island as the best place for snorkeling in Malaysia, do it right in front of your resort. You can swim, snorkeling, playing at the beach and kayaking for the whole day. Perhentian Island is a popular among tourists as one of the destinations during their tour in Malaysia that normally include Taman Negara, Cameron Highlands, Penang, Malacca and Langkawi. You can get there either by self-drive or shuttle service or public transport (bus & taxi) and boat. Let’s explore the truly tropical life in Taman Negara. The world’s oldest rainforest, 130 million years old virgin rainforest is waiting to share her pride heritage. Discover, enjoy and release your stress within the most amazing beauty nature. Taman Negara National Park is the perfect place for travelers who love wild life viewing, jungle trekking, hiking, rock climbing, fishing, camping and many more. 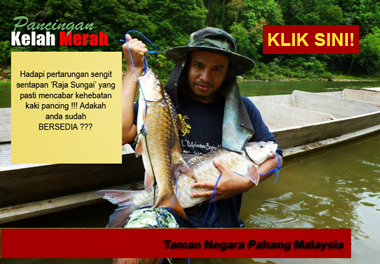 It is well established as one of the most popular ecotourism in Malaysia. 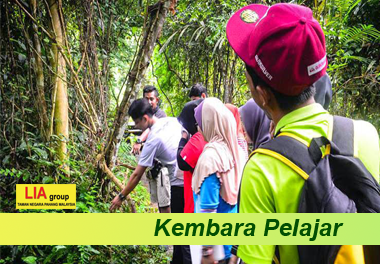 Every year Taman Negara attracts thousands of local and international travelers. It has a tropical, humid climate with temperatures averaging 86°F (30°C). It is opened throughout the year. Taman Negara is a popular among tourists as one of the destinations during their tour in Malaysia that normally include Cameron Highlands, Perhentian Island, Penang, Malacca and Langkawi.